Spring fashion is so much fun! 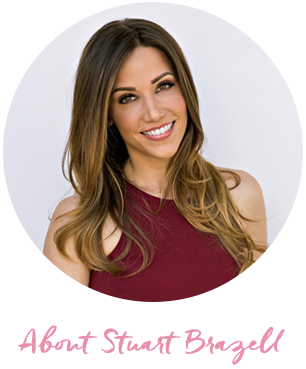 I love the challenge of dressing for changing weather and working new trends into warmer weather looks. Right now we are seeing gingam prints, ruffles, mules and metallic shoes everywhere, so I decided to create a look featuring all 3 spring fashion trends. I recently discovered the online store Shein. They feature all the latest trends at wallet friendly prices, so it is a great way to try new styles. 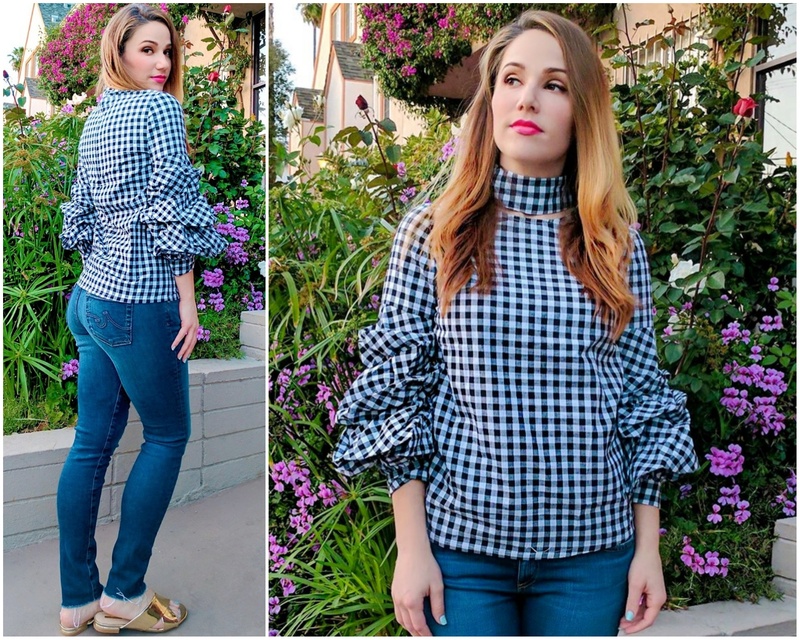 They currently have an amazing selection of gingham and ruffle tops, so when they reached out and asked if I would like to collaborate on a look I knew exactly what I wanted! 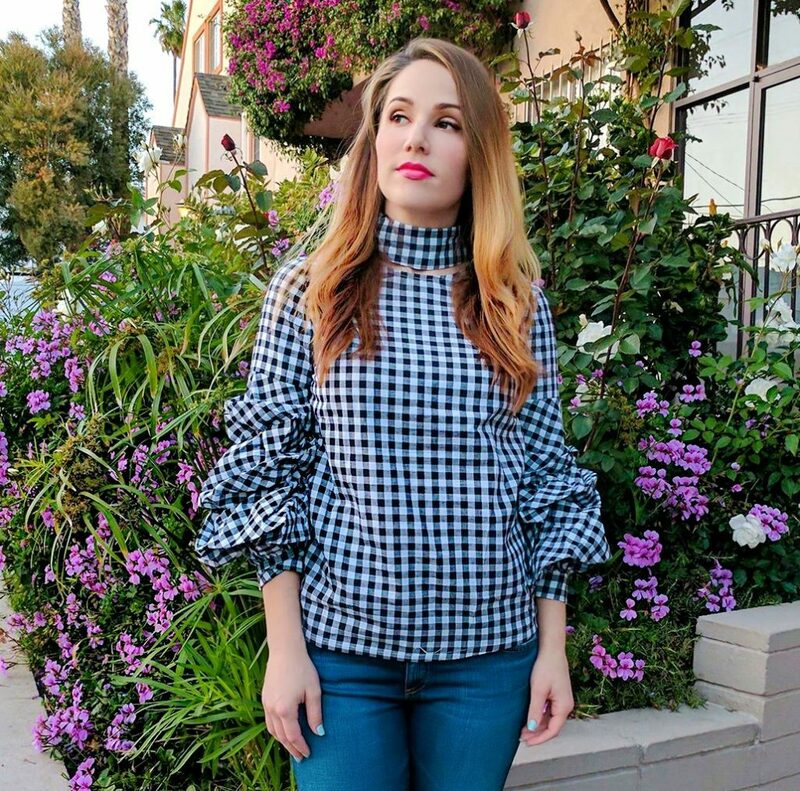 I am in love with their black gingham cutout high neck billow sleeve top. The black and white gingham print can be dressed up or down and the fit and ruffles are so flattering to the figure. And the cutout high neck adds the perfect amount of sophistication. Buy this top here. Metallics and mules are all the rage right now, so I scooped this pair of gold metallic mules up as soon as I saw them! Gold metallic shoes are so versatile and the mule styles make them extremely comfortable too. I’m excited to wear these well into summer! What spring fashion trends are you excited about? 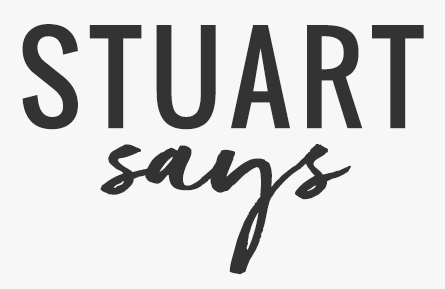 Leave a comment below with what’s in your closet or shopping bag. Very pretty top! Gingham is one of my fav trends this season! I still have to get a Gingham piece! They’re beautiful. 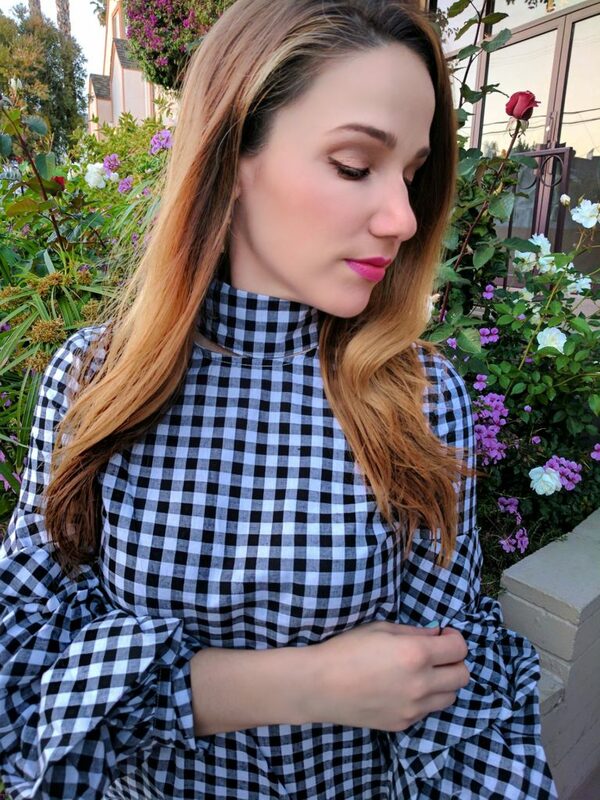 I am so obsessed with Gingham top! I absolutely love your selection of metallic shoes! That gingham top is TDF! and I love all the metallic shoes! I’m loving everything from Shein right now! This top is absolutely gorgeous- love how you paired it! I love both!! I’ve always been a huge fan of the gingham print, and these metallic shoes are dope! I love SheIn! Your top is gorgeous and you styled it amazingly. I love Metallic shoes! I have recently started obsessing over them 🙂 Also, I really love your cute top!